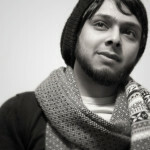 Siddiqa Juma – Muslim Museum UK – Uncover the 1400 year relationship between Britain and Islam. Explore the history and heritage of Muslims in Britain. 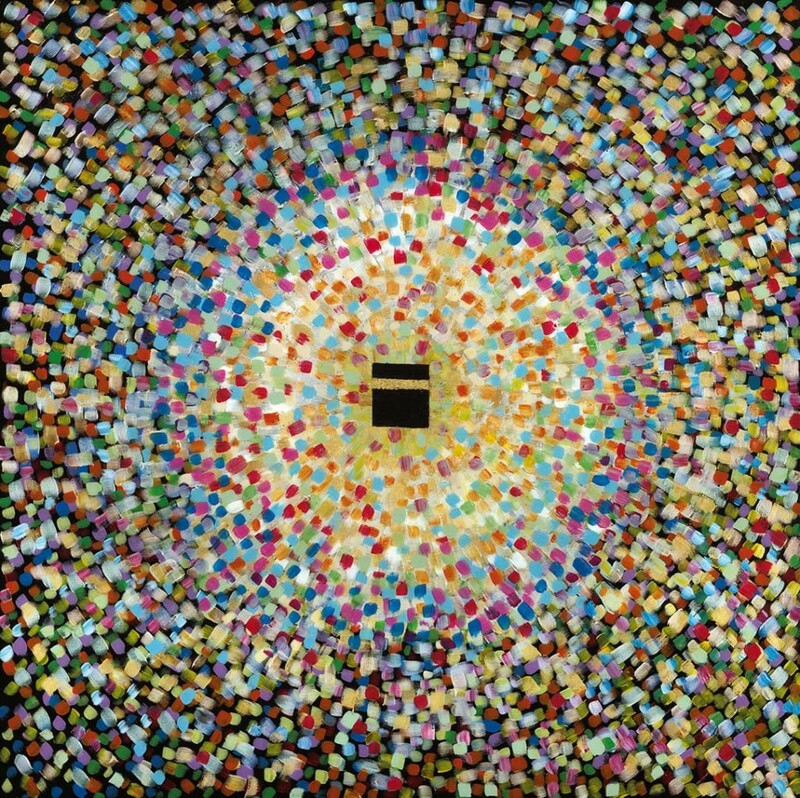 Guided by the Qur’an and Islamic tradition, Siddiqa Juma creates art that celebrates a rich religious and cultural heritage. Siddiqa has throughout her life been seeking some form of expression for her faith. Starting her career in graphic design, she has gone on to write, illustrate and produce Islamic children’s books and produce a slate of animated series that teach a particularly Muslim morality. 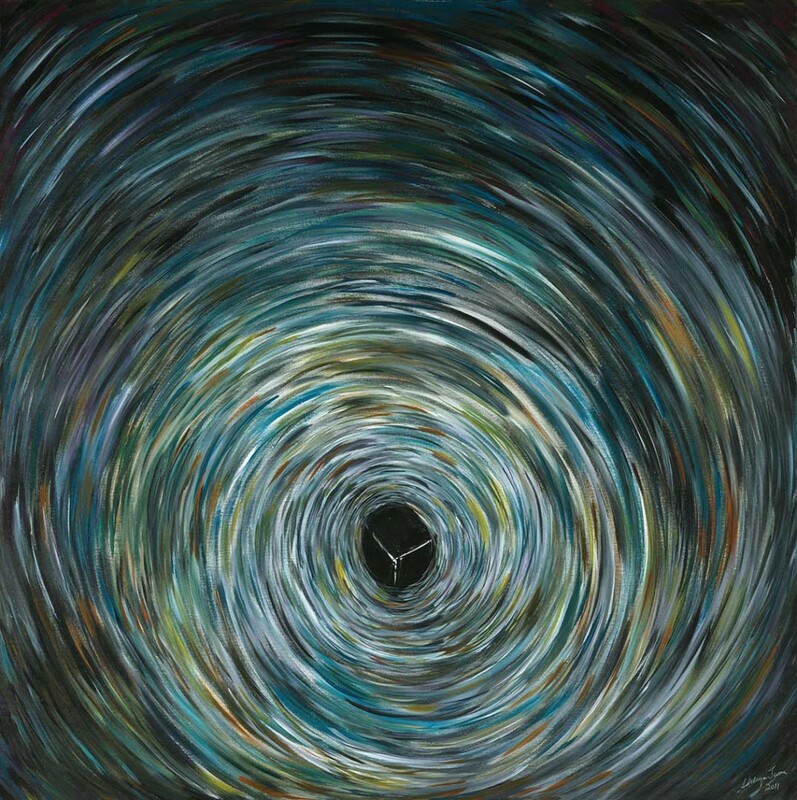 It is in painting however where Siddiqa has found the conduit for her devotion. It is not just the content and subject matter of Siddiqa’s work that reveals her beliefs: the processes by which her work is created have as much to tell. Siddiqa’s pieces are characterised by successive layers of vivid colour and intricate repetitive patterns and calligraphy, which draw to mind the ancient illuminated Qur’ans now proudly housed in museums around the world. 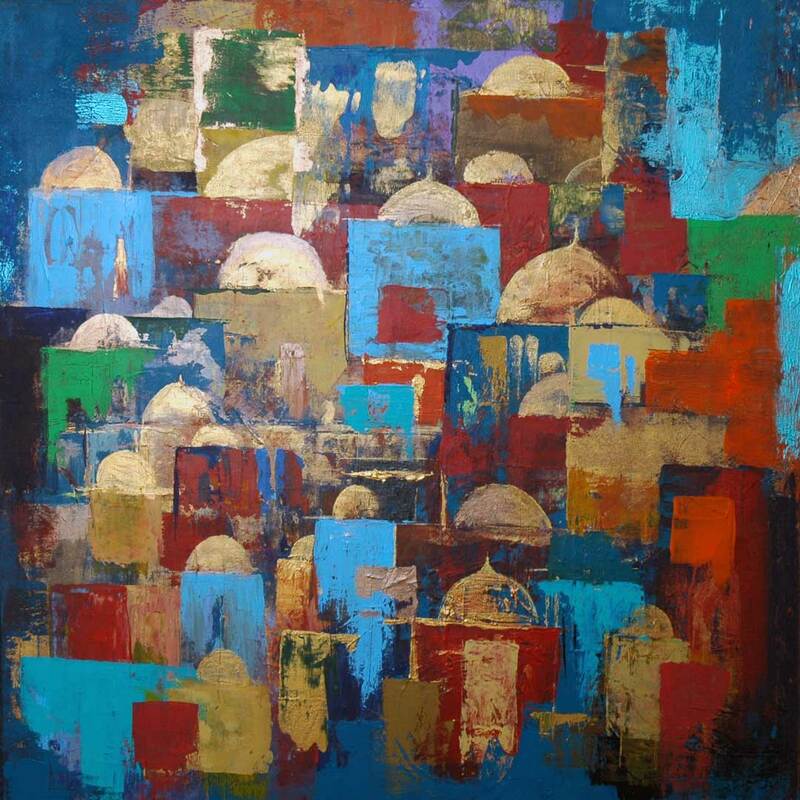 The vibrancy of her palette is an aesthetic choice that betrays Siddiqa’s unending eagerness to engage with the faith with which she grew up. 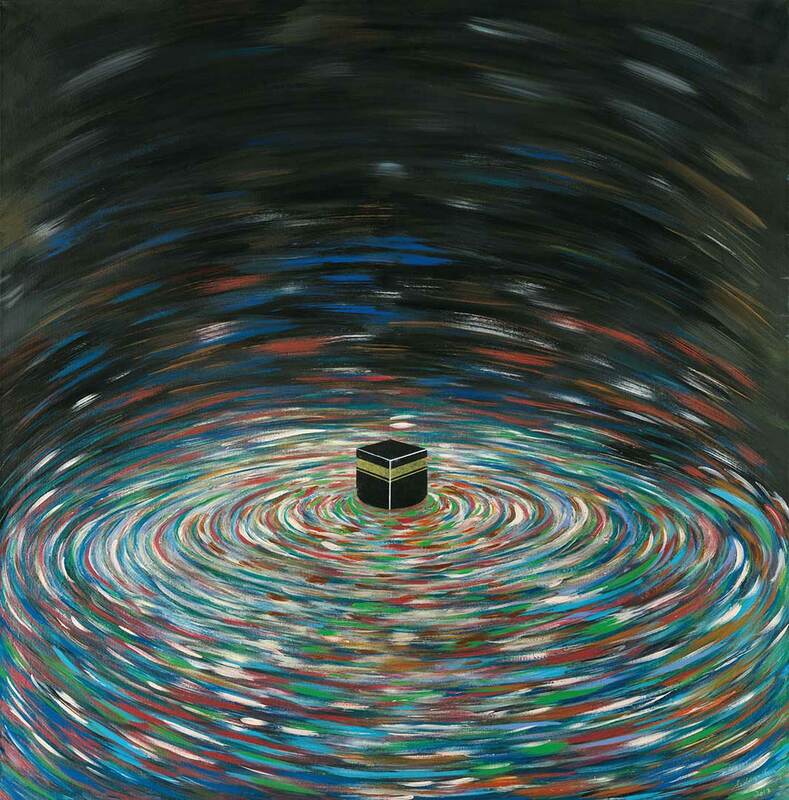 Siddiqa describes the process of painstakingly covering a canvas with God’s name as her personal tasbih, or incantation. Creating these pieces is an act of devotion in itself, a stand-in for meditation, in which each occurrence of a word is like a small offering to God. The development of Siddiqa’s faith is also evident in the development of her work. As her style has evolved, she has found herself fixated on Hajj, the pilgrimage that every Muslim endeavours to perform at least once in their lifetime. 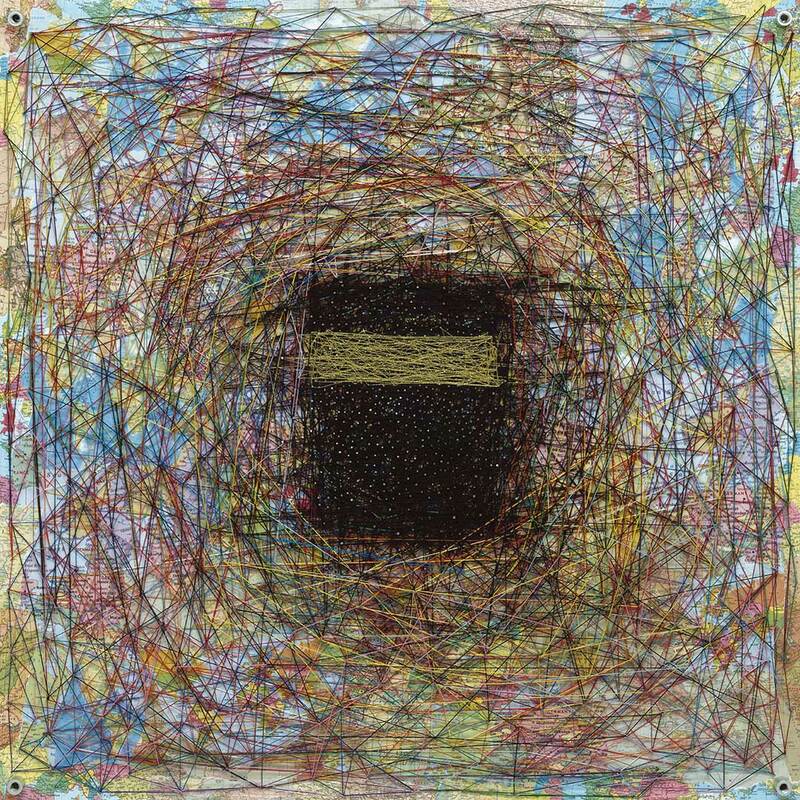 Siddiqa has not yet made this journey herself, and so her work communicates not the experience of pilgrimage or the process of performing the Hajj, but a yearning to embark on that journey, with all the elements on every canvas gravitating irresistibly towards the holy city. This desire has given her work a new focus, moving her away from imitation of classic Islamic art and towards a more personal style, one which communicates all at once the nearness and the distance between Siddiqa and her faith. 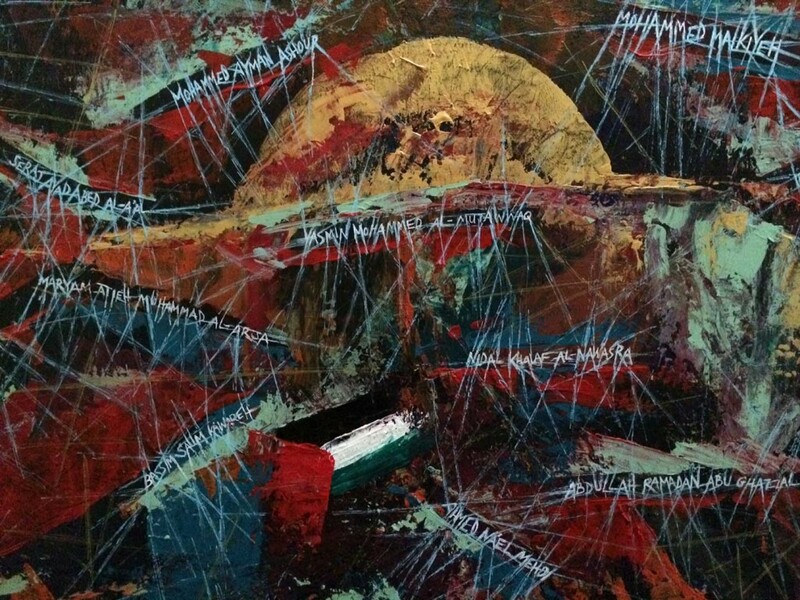 Siddiqa will be auctioning her ‘Silenced Screams’ painting (pictured above) on Islam Channel (Sky Channel 813) on Monday 21st July 2014 to raise money for the children of Gaza.